Currently the cinemas almost around the whole world are filled with the fans of the mutant superheroes, who are craving to watch the new motion picture about their thrilling adventures. And the screenwriter of this project - Simon Kinberg - has already shared some details about the next part in the series - X-Men: Apocalypse movie. According to Kinberg, a lot of people are interested if the original cast is going to take part in the new project, because lately the creators of the movie franchise payed a lot of attention at the young generation of the superheroes. In one of the interviews, Simon has calmed down the fans and has confirmed that the X-Men: Apocalypse movie will surely include the well-known and favourite characters and actors. “It will focus primarily on the ‘First Class’ cast, but it will certainly have some of the original cast involved, too,” he has said. But who exactly will it be is still the main project’s intrigue. Besides that, according to Simon, the X-Men: Apocalypse movie will be much more destructive with a huge amount of explosions and other visual effects than the previous part in the series. Perhaps, this motion picture will be even similar to the disaster films. It’s because of the main villain, who will turn to be stronger and more cruel than Magneto. The list of his abilities includes the wrecking superpower, the invincibility and also the capacity to change weight and form. 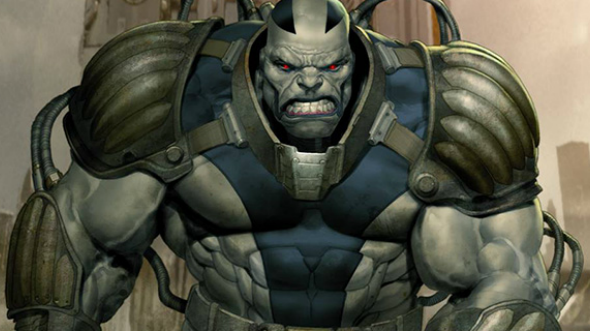 The X-Men: Apocalypse movie is planned to be shown on the big screens for spring 2016. It will be the eighth in the film series about the adventures of the mutant superheroes. Have you already watched the X-Men: Days of Future Past movie? What are your impressions? And what do you think about the next instalment? We’ll be glad to see your answers in the comments below.